So… what do we know about Anita Roddick? Survived the Curse of HMHB for an impressive 13 years and 320 days. I get her and Laura Ashley mixed up in my mind, though I suppose there is significant overlap in their clientele. Both big in Poundbury, I should think. 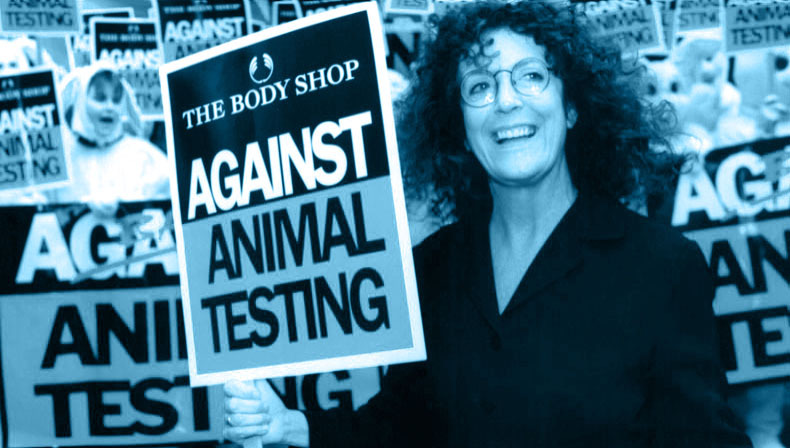 There was a letter in Viz once from someone who had used Bodyshop shampoo to clean her rabbit and it had made its eyes go all red, so she was complaining about why it hadn’t been tested on animals. Also who knows the affect it will have on my dreams…. Well, the simple way to see things is that that woman in the flowery dress, smelling nice and fresh, may not be so squeaky clean deep down, so to speak. Back when I first moved to the Smoke from the Wirral the company I was with shared offices with a city dynamo Private Eye referred to as “The Brodfather” (his name was Broderick). He was very tall and charismatic with a “macro view” of the world. Helped that he was something like 6’3″ (didn’t stop him entering the National as a jockey on Drunken Duck). Don’t think so thank you Brod. Took me years to realise he was trying to do me a favour :(.